Brining your compensation claim is what we do. Welcome to our new video about our serious injury team. 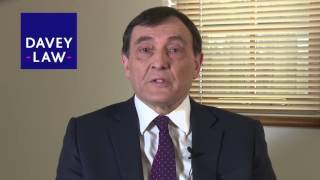 Our serious injury expert Peter Davies explains what Davey Law can do for you. With over 100 years of experience of bringing compensation claims across Gloucestershire and across England and Wales, our aim is to obtain compensation and restore your quality of life. So if you, or someone you know, has suffered a serious injury, why not call us on 01285 654875 to discuss making a claim. You won’t speak to a call centre but to one of our experienced serious injury experts. No Win, No Fee. No call centres, No nonsense. Just serious injury experts.